Fidelity Go is an online, automated investment platform, commonly known as a robo-advisor. It is the robo-advisor arm of Fidelity Investments. Fidelity Investments is one of the largest investment brokerage firms in the world, offering brokerage services, a large family of mutual funds, retirement services, wealth management and life insurance. As of 2016, the company had $2.13 trillion in assets under management (AUM). Fidelity operates two of the most popular equity funds in the world, Fidelity Magellan Fund and Fidelity Contrafund. Fidelity Go represents Fidelity’s entry into the growing robo-advisor investment trend. In addition to all the other services that Fidelity offers, Fidelity Go robo-advisor provides you the opportunity to have some or all of your investment portfolio professionally managed by the platform. 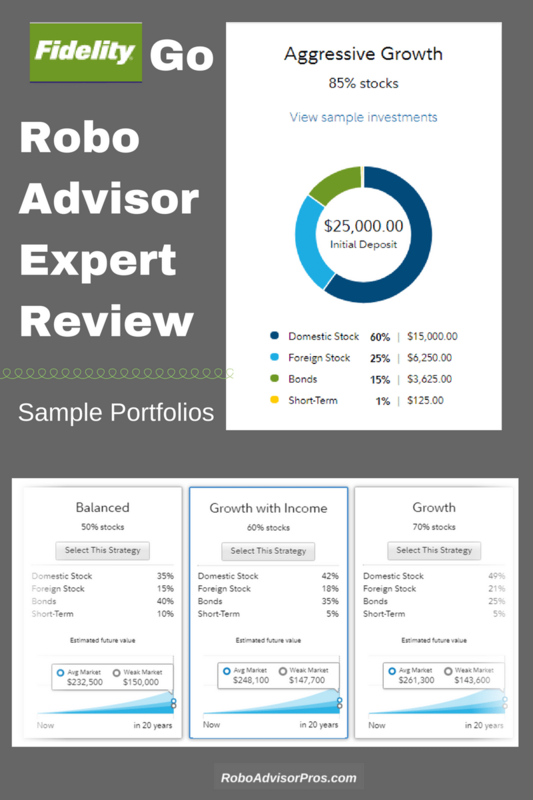 The Fidelity robo-advisor is designed for investors who prefer to have their money professionally managed. This Fidelity robo advisory review drills down into the platforms details. You’ll need a minimum initial account deposit of $5,000 in order to get started. You complete a questionnaire that forms the basis of your portfolio allocation, and then Fidelity Go handles all of the investment management for you. Since Fidelity Go is part of the Fidelity Investments family, you can have both managed investments and self-directed investments with the same brokerage firm. You can maintain a self-directed investment account with Fidelity Investments, and allocate a portion to the Fidelity Go robo-advisor to be professionally managed. For new or inexperienced investors, this combination DIY plus automated investment management accounts can be particularly attractive. You can even compare your own self-directed investing results with your Fidelity Go account, to determine how well you are doing on your own. Many robo-advisors provide very little flexibility in changing your investment strategy. Your portfolio allocation is determined when you first sign up. However, Fidelity Go allows you to change your investment strategy at any time. You can choose more suitable portfolio options, based on changes in your account profile. The image above shows how several distinct investment strategies appear. When you change your profile, Fidelity Go will suggest a different investment strategy, based on those changes. You can make the profile changes just by logging into your Account Summary. Annually, Fidelity Go checks in with you, and asks you to review your profile information to make sure that it’s up to date. If anything in your profile has changed, they may suggest a new investment strategy for you. Fidelity notifies you in advance of the review, and follows up with another reminder. If you don’t respond to the emails, Fidelity Go will do their own analysis of your account and your information. If they determine that your current investment strategy is no longer appropriate based on your information, they will move your portfolio into an investment strategy that they deem a better match. The move is initiated if Fidelity determines that your portfolio is riskier than is suitable, based on the information they have available. The robo-advisor industry standard for investments is typically index-based ETF’s. And while Fidelity Go does use these funds in the construction of your portfolio, they are not limited to them either. Your Fidelity Go robo advisory account can also be invested in actively managed mutual funds. This has the potential to combine the best of both passive investing in index funds, and attempting to outperform the market by investing in actively managed mutual funds. This combination naturally comes with higher risk than the competitor robo-advisors who invest strictly in index-based ETF’s. However, an index-only strategy can do no better than match the performance of the general stock market. By adding in actively managed funds you gain the potential to produce higher returns, so it’s a mix that blends higher risk with the potential for higher returns. It’s also possible that an actively traded mutual fund will under-perform the unmanaged index funds, found in most robo-advisors. Once your account is open, you can choose a target dollar amount for your portfolio to reach by a certain date. Once you choose that amount, Fidelity Go estimates the likelihood that you will reach that goal. If it appears that you won’t, they will offer suggestions to improve your chance of hitting your goal. In this way, Fidelity Go isn’t just managing your investments. They are also providing you with overview strategies that might help you to reach your investment goals. Fidelity Go considers tax-advantaged investing to be IRA accounts. One area where the platform departs from typical robo-advisors is that they do not offer a specific tax-advantaged investing option. More specifically, Fidelity Go does not offer tax-loss harvesting for their taxable investment accounts (the option is unnecessary with IRAs, since they’re tax-sheltered accounts). The low management fee of 0.35% (0.40% total) is only a fraction of the 1.0% to 1.5% range typically charged by full-service, traditional investment managers. And while Fidelity Go’s basic annual fee is higher than many other robo-advisors, the fact that total fees are limited to 0.40% – including net advisory fee, fund expenses, and SEC fees – makes it competitive with other platforms. The Fidelity website mentions that the fee may also be reduced by a variable fee credit. Who Benefits from the Fidelity Go Robo-Advisor? Anyone who is looking for professional investment management, but at well below the fees charged by traditional investment managers, stands to benefit by investing through the Fidelity Go robo-advisor. By doing so, you can save a full percentage point or more on the annual management fee. But as noted earlier, Fidelity Go can also be an excellent managed portfolio for an investor with accounts at Fidelity who only wants to have some of his or her assets managed. Since the platform is part of Fidelity Investments, you have the advantage of being able to maintain an account where some of your portfolio is professionally managed, while you manage another portion of your investments. The actual day-to-day management of your Fidelity Go portfolio is handled by Geode Capital Management, LLC. Geode is an unaffiliated investment advisor founded in 2001. Fidelity has partnered with Geode since 2003. Fidelity Go’s website doesn’t list the specific ETF’s and mutual funds that are used to construct their portfolios. An inquiry on the site chat line confirmed that they don’t publish that information. However, we should assume that since Fidelity Go is part of Fidelity Investments your portfolio will be comprised of a selection of the firm’s many funds. When you go through the signup process and determine your risk tolerance, you’re presented with a See My Suggestion button that shows the investment sectors that the funds will represent. I rated myself as an “8” on the risk tolerance scale, gave my age as 47 and was presented with an aggressive growth portfolio. The investment mix is presented on the graphic above. Fidelity Go doesn’t have a specific percentage parameter that guides rebalancing. Instead, they continuously monitor your portfolio and the investment environment. If the markets move significantly in either direction, causing your portfolio to stray from the preferred allocation, the company rebalances it back to your preferred percentages. The Fidelity Go sign up process couldn’t be easier. You can do it in just a few minutes. It starts with a seven part questionnaire. I have $____________ to start and want to contribute $____________ each month. In regard to #7, I’m not certain about the integrity of determining your risk tolerance by a numeric self-assessment. The single question essentially asks you how you feel about risk, which isn’t the same thing as determining your reaction to the events that drive risk. ”Generally, I prefer investments with little or no fluctuation in value…?” To which you can indicate strongly disagree, disagree, somewhat agree, agree, or strongly disagree. ”How stable are your current and future income sources?” To which you can indicate the degree between very unstable and very stable. ”What other concerns do you have about market risks?” This is an essay type question, where you are free to record any concerns that you have. Personally, I’d advise you to consider how you might react to a risk generating event, such as the possibility of losing 25% of your portfolio in one year, or even consider the Vanguard questions. Either would be more accurate as a barometer of risk tolerance than simply assigning yourself a number. Once you have completed the Fidelity Go questionnaire, the platform will provide a suggested investment strategy based on your self-assigned risk score. It will look like the example that we’ve provided above under Investment Mix. But an advantage with Fidelity Go is that the investment strategy that they suggest is just that – a suggestion. Once you are presented with the recommended portfolio mix, you are free to adjust your risk tolerance and investment parameters. In doing so, you can have the portfolio allocation adjusted to a level that you consider to be better matched to your preferences. Once you decide on your actual portfolio allocation, you can open and fund your account. The management fee of 0.35% is well below the 1.00 – 1.50% charged by traditional investment managers. The total fee of 0.40% is very competitive with other robo-advisors, who may charge lower management fees, but offer no limit on other fees, such as fund expenses. You can maintain a self-directed investment account with Fidelity, and allocate a portion to Fidelity Go to be professionally managed. Including actively managed mutual funds in your portfolio gives you the potential to outperform the market. Index-only EFTs, which is the robo-advisor industry standard, can do no better than match the market. You can manually adjust your asset allocation or investment percentages. 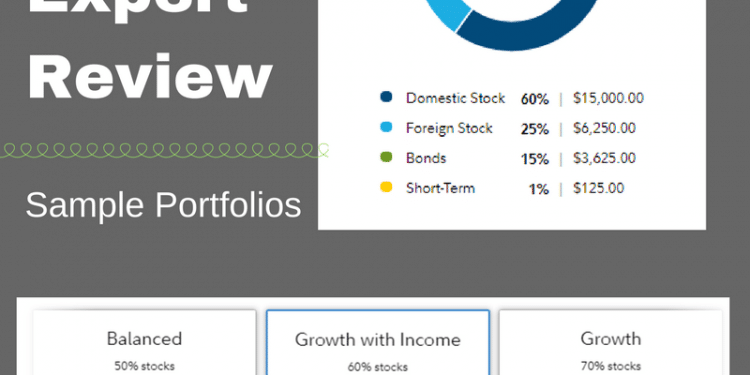 Although not as comprehensive as Wealthfront’s Path financial advisor, the portfolio target tracking stands out as an exceptional tool to make sure you hit your financial goals. Fidelity Go’s annual management fee of 0.35% is at about the middle level for robo-advisors, but much higher than major competitors, such as Wealthfront and Betterment (both 0.25%), while WiseBanyan and Charles Schwab Intelligent Portfolios both offer their services free of charge. Fidelity Go is setup to accept transfers of cash and cash equivalents only. You cannot transfer securities into your account, though this is hardly unusual for robo-advisor accounts. The minimum initial investment is reasonable for many investors, but it’s higher than Wealthfront ($500 minimum) and Betterment (no minimum) and might discourage new and very small investors. Fidelity Go doesn’t offer an automatic tax-harvesting feature. The Fidelity robo-advisor offers fewer accounts than most competitors including Betterment, Motif, Wealthfront and Personal Capital. Fidelity Go is a good robo-advisor choice if you like investing through a large investment brokerage, like Fidelity Investments. 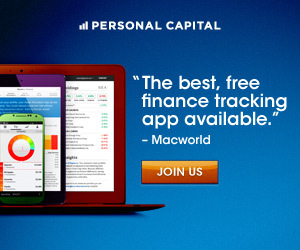 That will give you the ability to take advantage of professional investment management, while also preserving the option for self-directed investing with a regular Fidelity brokerage account. Fidelity Go’s annual management fee isn’t as competitive as many other robo-advisors. But the limit of 0.40% in total fees is a draw. They also provide an opportunity to have at least some of your managed portfolio invested in actively managed mutual funds. This may increase the risk of loss in your portfolio, but also the possibility of outperforming the market. This is unusual among robo-advisors, since most invest entirely in index-based ETF’s. Fidelity Go has enough advantages in its favor to merit a close look. Check out Fidelity Go’s website and see if the platform will work for you. Check out our free Robo-Advisor Comparison chart (no sign up required) to find out how Fidelity Go stacks up against the robo-advisory competition.